This interactive presentation contains the latest gas (and a little oil) production data through May, from all 8,137 horizontal wells in Pennsylvania that started producing since 2010. After the significant jump in output at the end of last year, gas production has remained fairly steady at a level around 16 Bcf/d, and just like in the past 3 years there was a small dip in May. Only 252 horizontal wells started production in Pennsylvania in the first 5 months of this year, which was the lowest number since 2010. The initial performance of these new wells is similar to the ones that started in 2017, which were the best to date (see the bottom graph in the ‘Well quality’ tab). Cabot has taken over the lead from Chesapeake as the largest gas operator in this area, as you’ll see in the ‘Top operators’ tab. The top 5 operators shown there operate more than half of total unconventional gas production in this state. The ~600 wells that started in 2010 have now recovered on average 3.3 Bcf, and are now at a flow rate of 600 Mcf/d. By extrapolating the 2014 curve, you’ll see that these wells are likely to recover about double this number by the time they’ve declined to this flow rate. In the 6th tab (‘Productivity map’), you’ll find which areas in Pennsylvania are the most productive, as measured by the average cumulative gas production in the first 2 years. Last week we launched the ShaleProfile Analytics portal at the URTeC, in which the performance of more than 100 thousand horizontal wells in the US can be analyzed in even more detail than here on the blog. This portal also allows you to see the detailed location of all these wells, and analyze how changing lateral lengths and proppant loadings has affected well performance, among many other capabilities. We’ll have soon more information about this on our webpage. If you’re interested you can already find some brief information, and the possibility to request a trial license, in this link. 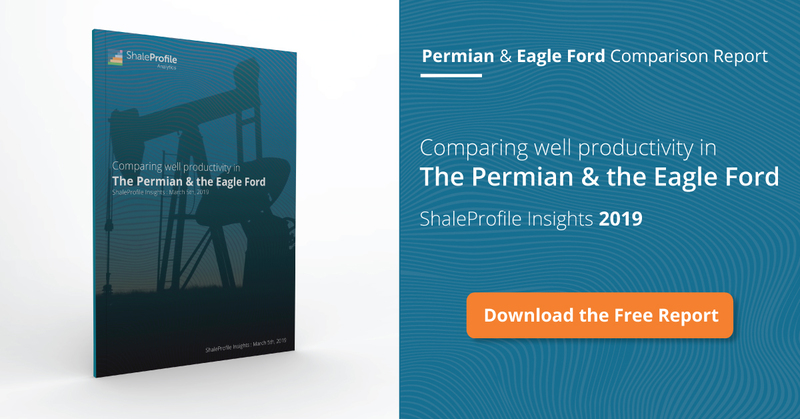 Next week I plan to have new updates on the Permian and the Eagle Ford. – what effects are expected on the US Henry hub price near – mid term? Its funny that we’ve been ignoring gas for so long, yet circumstances may be aligned for a recovery there. It’ll certainly be a test of the Supply/Demand vs Futures Trading hypothesis. It’s good question Ian. Record daily production yet NG Storage is at its lowest level in years. Is consumption so high that NG is just not available for seasonal storage? I have no data to back up my opinion, but I think NG and LNG exports may explain the situation. In any case 1 or 2 people that I really respect have indicated that overall NG production will begin to decline this winter and there is nothing in the production queue. I also notice that President Trump and Sec of Energy Rick Perry is pushing the EU, especially Germany, to use”limitless quantities” of US LNG in lieu of Russian NG gas. Have promises been made that we don’t know about? There is a whole lot going on in the world that doesn’t quite come together for me. Howdy, Ian. There are some rather lame arguments about that suggest we no longer need gas storage because of the short investment cycle of shale gas and, I think, the several thousand App Basin wells that are shut in with no takeaway capacity, as well as all the shale oil associated gas that is getting wasted up a flare stack at the moment. American’s don’t believe too much in savings accounts, or preparing for the future and as you likely heard, we no longer need to save our hydrocarbons anyway, we have so much of the stuff now days; https://www.oilystuffblog.com/single-post/2018/08/24/Cartoon-of-the-Week.